There are times when something bad can lead to something good. Joshua’s Law is a very good example of this. Joshua Brown lost his life in 2003 in a road accident. As a result, his parents rallied with legislators in a call for stronger driver training laws. In 2005, Senate Bill 226, also known as Joshua’s Law, was passed in the General Assembly. This requires teen drivers to undertake 40 hours of practical driving instruction with a parent or guardian, six hours of which must be at night. In order to obtain a provisional license at age 16, a teenage driver must also undertake 30 hours of driving education. If 30 hours of driving education is not completed, a teen driver must wait until the age of 17 before applying for a provisional license. Joshua’s Law came into force on January 1st 2007. A learner’s permit may be obtained at age 15. Then at age 16, a driver who has held a learner’s permit for 12 months and one day and also passed the on-road state administered driving test can apply for a provisional license providing he or she has undertaken a recognized 30 hour drivers’ education course. Without taking such a course, a driver will have to wait until the age of 17 before applying for a provisional license. The object of Joshua’s Law was to ensure that new teenage drivers have a greater understanding of driving on the State roads together with all of the hazards that it incurs. 30 hours of drivers’ education can be taken either by going to classes, or can now be undertaken online as long as the online provider is recognized by the DDS. GA Driver Safety is recognized by the DDS and is fully compliant with Joshua’s Law. One of the big advantages of taking the GA Driver Safety recognized course is that you can learn at your own pace. You can log on whenever and wherever it suits you, because there is a built-in timer which monitors your progress. This means that you can do a half hour here or there, or an hour or two if you prefer. You could even complete the whole course in a couple of weeks if you wish. It is entirely up to you. At the end of the 30 hour course, you will sit the final exam. 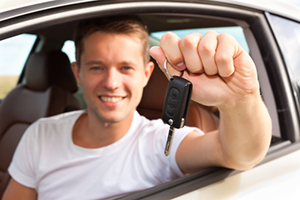 You can take this online as many times as you need to, so you can be assured of passing it in good time to be able to apply for your provisional license on your 16th birthday. You will automatically receive a Certificate of Completion issued by the DDS in your email inbox.